This is a resource site for people who lead or organise group singing in choirs, choruses and similar groups. 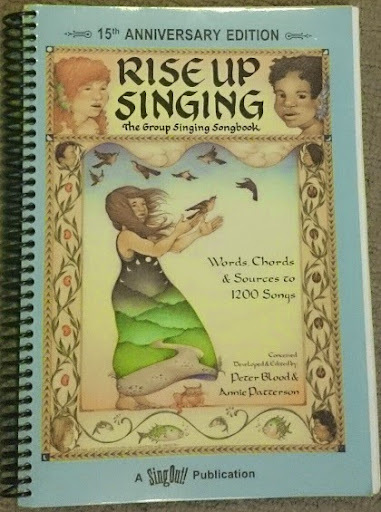 A list, by title, of songs from "Rise Up Singing, the group singing songbook". Listings of other song-books - suggestions welcome. Check-lists and forms for administration tasks that choir-leaders and musical-directors have to do, eg membership forms, choir-member handbook, attendance sheet, rehearsal plan, meeting schedule, concert-organisation checklist, etc. Is there a particular resource or tool that you would like? Leave a message in the Comments section below, and I'll see what I can do.